Codependency can be an unhealthy side-effect of a toxic relationship with a narcissist, but what does “codependency” really mean? What are the signs of codependency? What does a dysfunctional family have to do with codependency? And how do you stop being codependent? 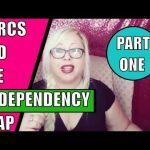 Here’s everything you need to know about codependency and how to recover from it. What is codependency? When you hear someone use the word “codependent,” often the first thing you think about is someone who is in a relationship with an alcoholic or drug addict. That’s because the term was developed specifically for this kind of relationship – initially. What is the origin of the term codependency? The term was developed by therapists who observed that family members often took on the psychological defenses and survival behaviors of the alcoholic or drug addict, thereby extending the disease from the individual to the entire family. What is the definition of codependency? “Codependency” is defined as an unhealthy relationship where partners are overly reliant on one another. As a result, a dysfunctional pattern of living and problem-solving develops between the two. This is a learned behavior, most often learned in childhood, meaning it is often passed from parent to child over the course of many generations. Psychologists consider it both a behavioral and an emotional condition that affects your ability to have healthy relationships. 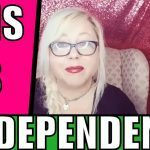 Who is affected by codependency? Originally, the term was used to refer to the family members of alcoholics and drug addicts. Today, we understand that codependency also affects people in toxic relationships. Codependency begins in the family, meaning that it can affect any type of relationship, but the codependent personality is developed in childhood due to family dynamics. What is a Dysfunctional Family? Dysfunctional families are more common than most people realize. While the dysfunctional family deals with regular conflict, blatant (and more subtle) misbehavior, they often appear “normal and healthy” to outsiders. In reality, many kids in dysfunctional families deal with physical or emotional neglect and in some cases, psychological and/or physical abuse from parents, step-parents and older siblings, often on an ongoing basis. Why does a child from a dysfunctional family become a codependent adult? We develop our understanding of the world and our place in it in childhood. Our parents reject, ignore or neglect us, causing us to feel like we don’t matter, or like we aren’t seen or heard. When we are made to feel unimportant, invisible and unworthy, we begin to see ourselves this way. We’re not validated and are in fact invalidated by our dysfunctional families. This leads us to become unhealthy, codependent adults. And, if we don’t heal ourselves, we can end up raising codependent, dysfunctional children, who may then continue the cycle with their own children. Bottom line: kids who grow up in a dysfunctional family become codependent adults because dysfunction feels normal to them, so they subconsciously seek it out or attract it to themselves. Then, they pass it along to their children, who in turn, do the same. That’s why a total personal evolution is required to fully overcome codependency – and to potentially protect future generations from being dysfunctional. Does that make sense? 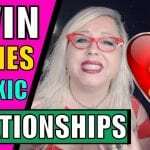 Both the narcissist and the codependent have no sense of self – so they need to have a connection to someone else (the narcissistic supply) in order to sort of siphon off their energy and personality. 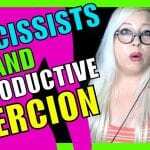 How do you know you’re in a Codependent Relationship with a Narcissist? When two people have a very close relationship, it’s natural and mentally healthy to depend on each other for certain things. However, if one of you is toxic, abusive (mentally, physically or otherwise), controlling and/or overly neglectful of the other person in the relationship, this can lead to codependency. If you’re you’re the victim in this situation, you lose sight of who you are, in order to please only the other person, the relationship can become very unhealthy. One of the most troubling relationship elements is codependency. 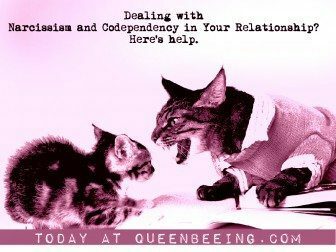 Not sure you’re dealing with codependency? Try our codependency quiz here, or just ask yourself these questions – and be honest when you answer them. This will help you understand if you’ve fallen into a pattern of codependency in your relationship. Is much of your day taken up with trying to do everything for your partner? If you’re completing numerous tasks for your loved one that could easily be done by them, you might be caught up in a dysfunctional, codependent relationship. These chores are done at the detriment of your own life. Are you leery of asking for help from your partner? If you can’t seek assistance from your partner, it’s very frustrating. In a healthy relationship, partners freely and regularly ask for a hand. Do you have hobbies and activities to enjoy separately from your partner? To maintain a healthy individual identity, it’s important to cultivate your own hobbies and interests, apart from the relationship. If you don’t, it could be a sign of codependency. Would you describe your partner as needy, emotionally distant, or unreliable? These qualities often draw in partners who are seen as “caretakers.” Thus, the codependency begins. The good news is that if you believe you’re in a codependent relationship with a narcissist now, you can begin changing your behavior right away to gain back a healthy sense of who and what you are – and that is what will lead to your healing from this abuse and pain. Use these questions to guide you in correcting your behaviors and emotional expressions in your loving relationships – and as you grow stronger, you can work toward removing the negative influences from your life. Codependency recovery is a little different for each of us, but there are certain elements of the process that are common to all recovering codependents. For all of us, codependency recovery begins with recognizing the problem. The first thing you need to do is find some support from people who understand codependency. Scroll down for a bunch of free codependency recovery support and resources. Next, you need to start working on understanding the situation and why it happened. Identify the toxic people and situations in your life and figure out how they got that way. This will help you to start to see the situation logically instead of emotionally – and that will help you get to the next step. This leads to the overcoming codependency phase – where you start actually moving forward. This part is all about you: you’re learning who you are, deciding who you want to be and getting ready for your own personal evolution. This is where you begin to thrive and prepare to evolve. You learn to set and maintain personal boundaries and relationship deal-breakers. You start figuring out what you really want, and you learn to listen to your own intuition again. All the while, you’re clearing out those old “voices” that tell you that you’re not good enough, that you’ll fail, that you will never be (insert dream here). You know, those repeating phrases and devaluing self-concepts instilled in us by our abusers. You begin to define yourself and intentionally fine-tune your life. During your evolution, you can define yourself. You learn to first unconditionally accept yourself as you are in any given moment and to then decide intentionally what and who you want to be. This leads you to polish and refine yourself and to become secure enough in yourself that codependency is no longer an issue. If you feel you need additional help and support in your codependency recovery, seek out a trauma-informed professional trained in helping people who are dealing with codependency. Depending on your particular situation, you might benefit from Narcissistic Abuse Recovery Coaching, or you might do better with a therapist. You have to decide what to do from here – if you’re not sure, start with my free Narcissistic Abuse Recovery quiz. With your results will come recommended resources for your situation. It’s totally free.